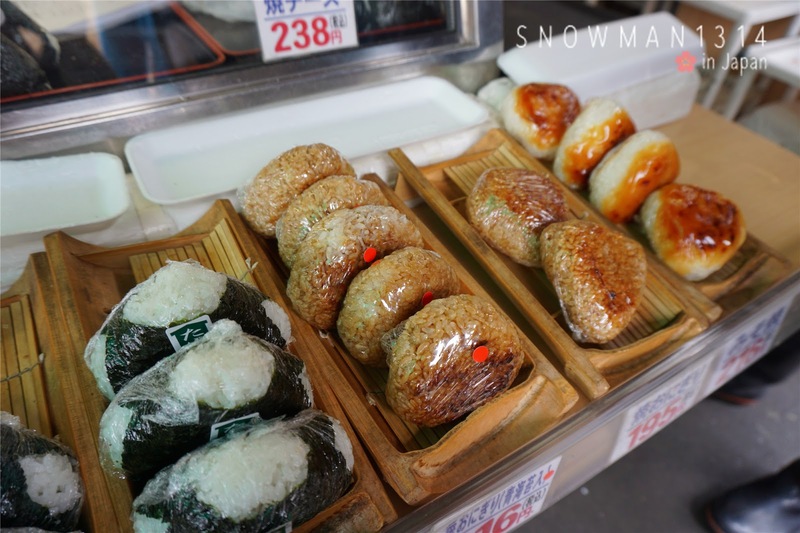 Ohai finally My Day 4 Tokyo Trip to Tsukiji Fish Market. 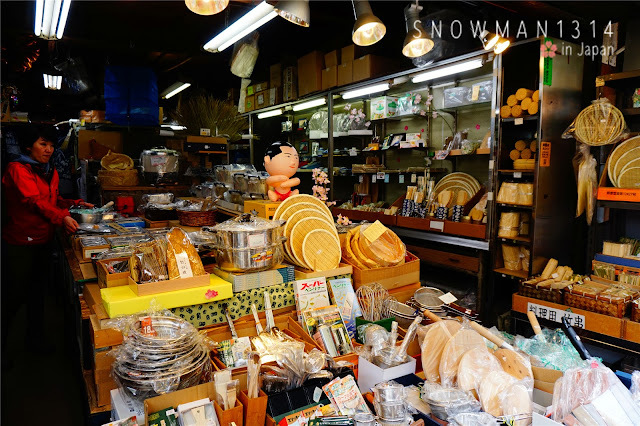 I am glad that I still manage to visit this market at Tokyo before it move to a new site in Toyosu in November. 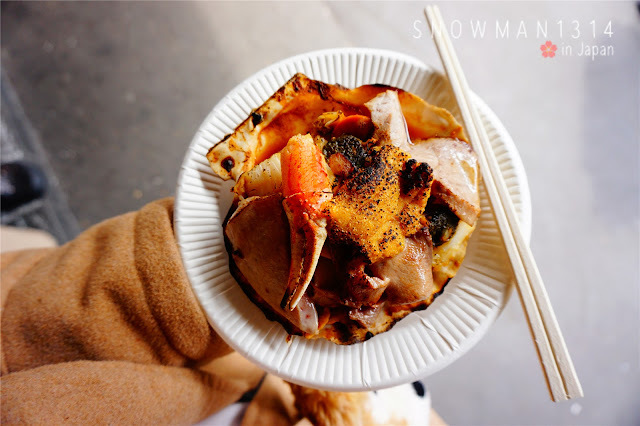 Basically I just spend my time eat, eat and eat only while exploring the market. At first we plan to visit the Tuna Auction at 5am, but since the train does not open so early, taking cab in Tokyo is expensive. 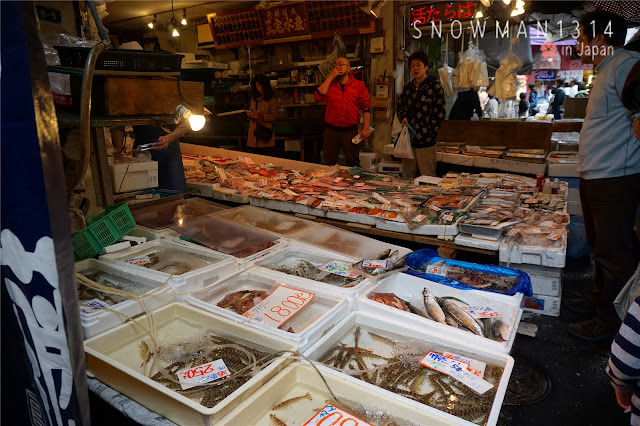 We didn't make it to the auction but the Fish Market is big enough for you to explore and searching for good food. 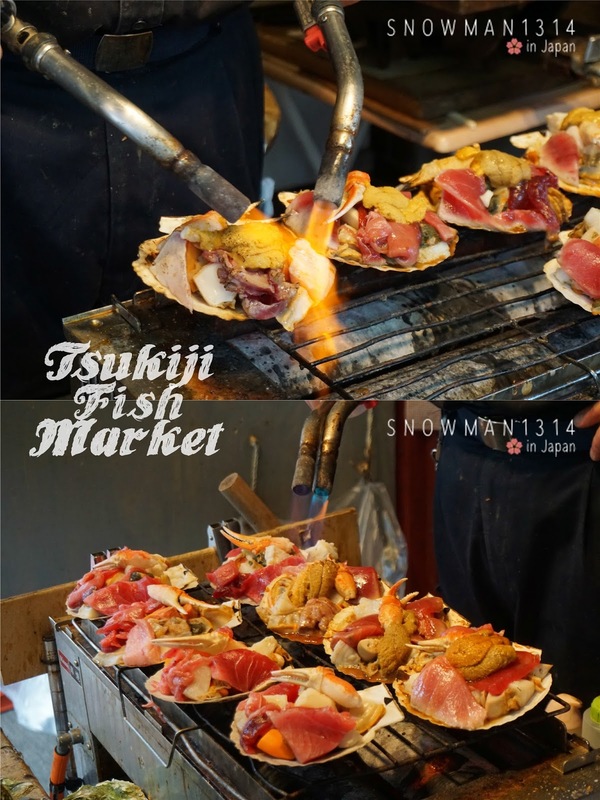 Tsukiji Market (築地市場, Tsukiji Shijō) is a large wholesale market for fish, fruits and vegetables in central Tokyo. 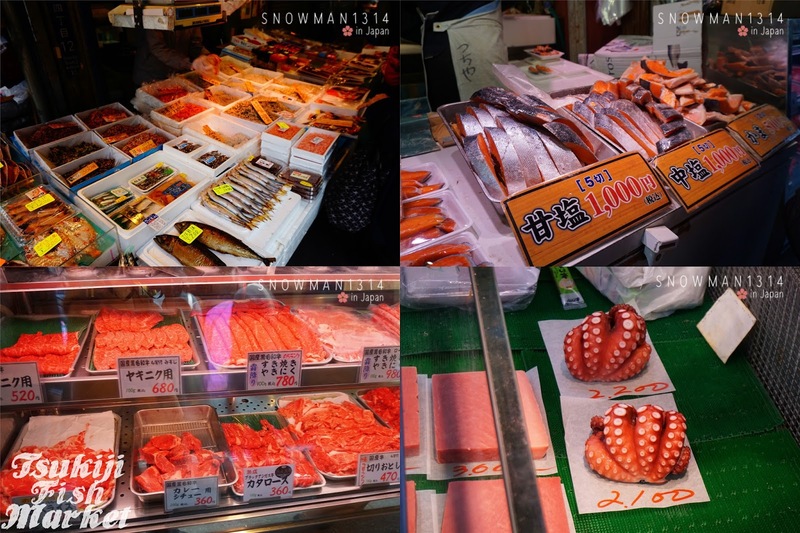 It is the most famous of over ten wholesale markets that handle the distribution of fish, meat, produce and flowers in Tokyo. Tsukiji Market is best known as one of the world's largest fish markets, handling over 2,000 tons of marine products per day. It is scheduled to move to a new site in Toyosu in November 2016. The sight of the many kinds of fresh fish and other seafood and the busy atmosphere of scooters, trucks, sellers and buyers hurrying around, make Tsukiji Market a major tourist attractions. 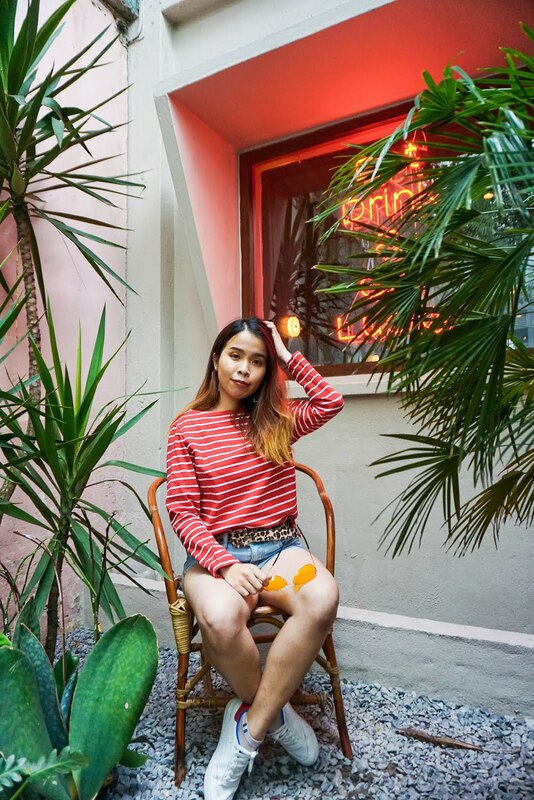 In fact, the numbers of visitors have increased so much over recent years, that they have become a problem to the course of business, as the aging market's infrastructure was not anticipated to serve as a tourist spot. The number of visitors to the tuna auction is limited to 120 per day, the maximum number which the market's infrastructure can accommodate. 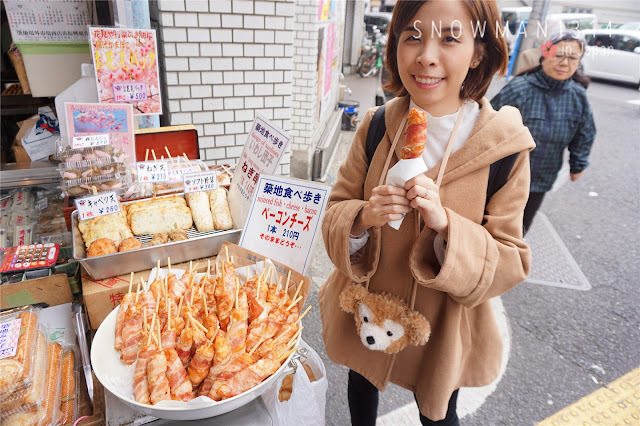 Tourists, who wish to see the auction, have to apply at the Osakana Fukyu Center (Fish Information Center) at the Kachidoki Gate, starting from 5:00am (or earlier on busy days) on a first-come, first-serve basis. A first group of 60 visitors will be admitted to the auction between 5:25 and 5:50, while a second group of 60 visitors will be admitted between 5:50 and 6:15. Visitors usually start lining up hours before 5am, and the maximum number is likely to be exceeded, in which case later arriving visitors will not be able to see the auction. Successful applicants will be able to view the auction from a designated visitor area. 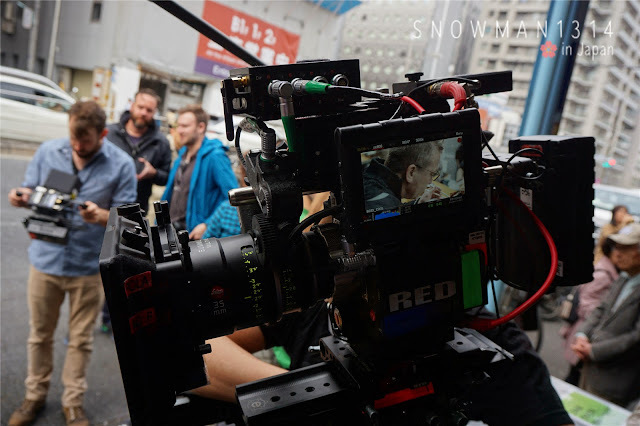 It is not allowed to view the auction from anywhere else or to use flash photography or to interfere with the business action in any other way. Our first station for the first day of Day 4, it tooks around 40 minutes rides with their train. 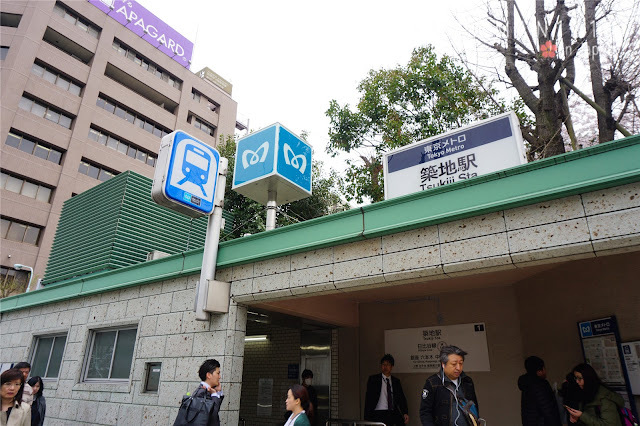 From Asagaya Station you take the Chuo-Sobu line connect to Tozai line to Kayabacho Station. From Kayabacho station take 2 stops train to Tsukiji Station. You will need to walk around 5 minutes to reach Tsukiji Market. The Market is quite crowded although the time we went was around 10:30am. There are many food stall along the street. We didn't really focus on the road side stall, if you don't know which stall to choose just see which stall has the longest queue and just go for it! 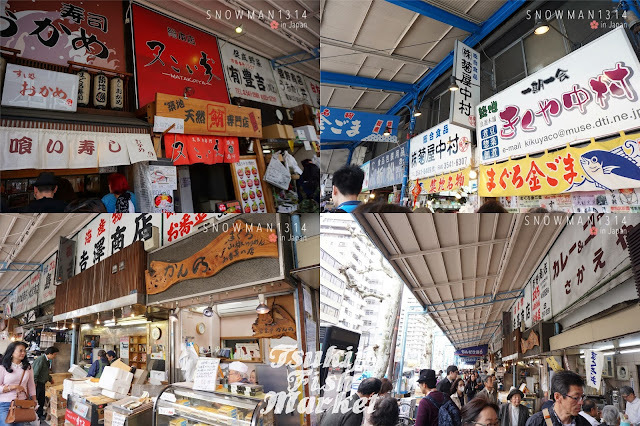 Since this is a Fish Market, you will find yourself flood with all the fresh seafood and Sashimi selling in this Fish Market. 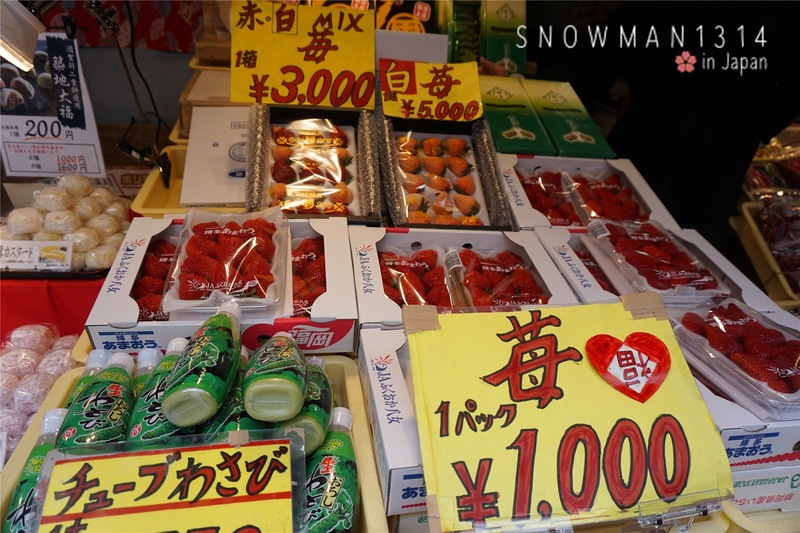 They are selling many fresh Strawberries too during this season! Miscellaneous stuff selling at Tsukiji Fish Market. Feeling hungry? No worries, you will find there's a lot of sushi house along the pathway. 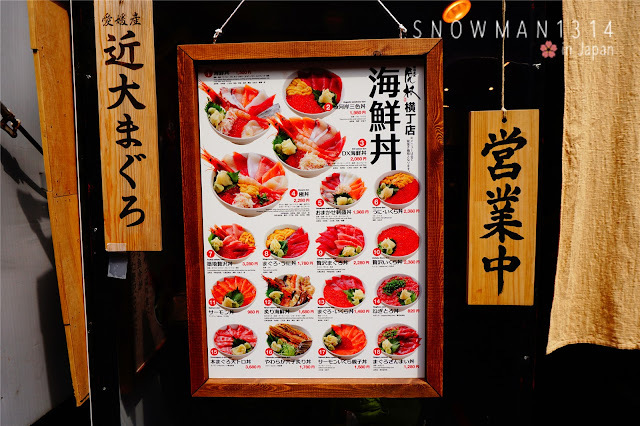 If you are a fan of Salmon Sashimi, You must definitely check out Fish Tsukiji Market for fresh Salmon Sashimi and even Salmon Ikura Don that will definitely makes you feel drooling. Can't help myself to play on this Gachapon at Japan. 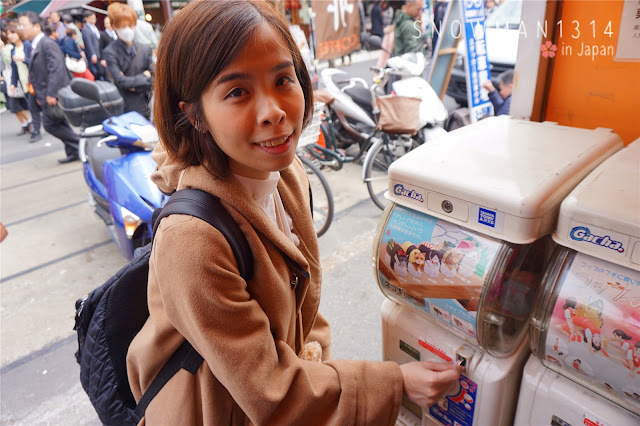 You must try your luck when you saw cute merchandise Gachapon machine. 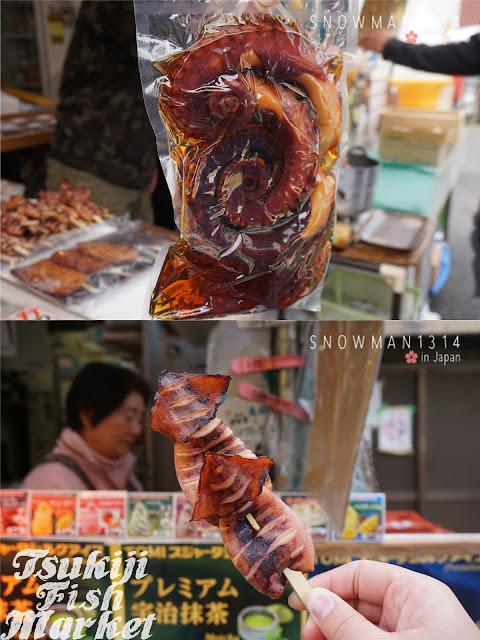 Grill Sea Squid. Chewy and Juicy from the inside. 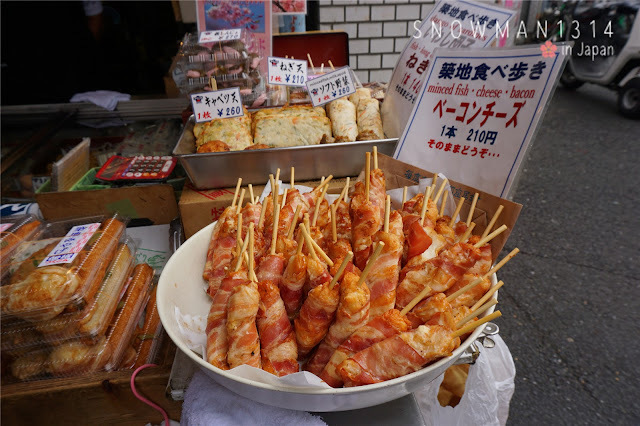 When you walk around the street, you will many snack food stall along the way. Grill Fresh Scallop! The size of the scallop is quite big also. 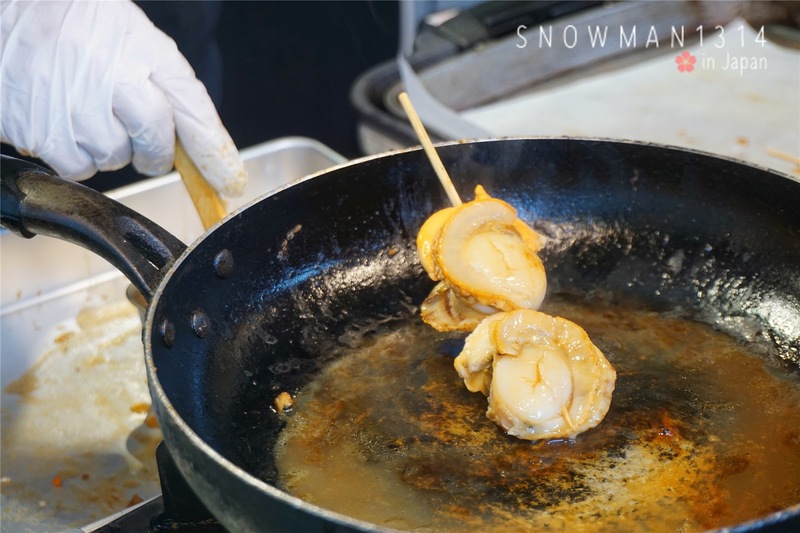 Beside Grill Scallop, they sell fresh oyster too. 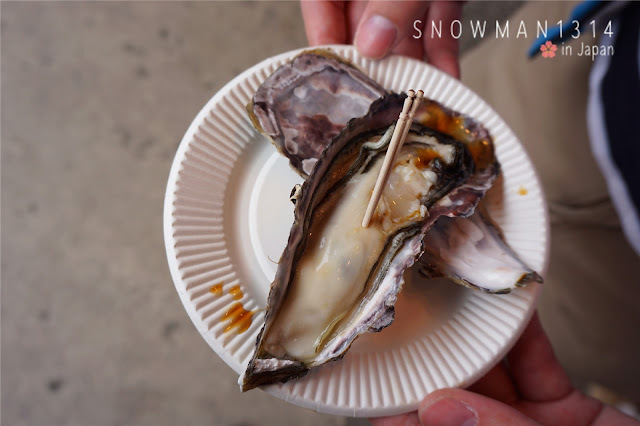 My boyfriend can't resist to oyster and best to eat it straight away. Served with only salt and soy sauce. 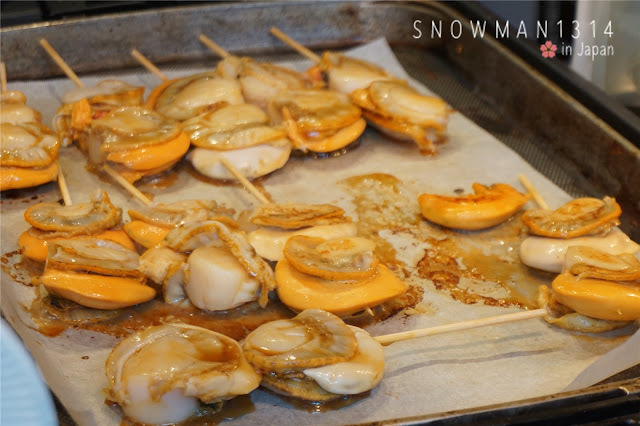 Using big clamshell to grill all the fresh seafood all together. 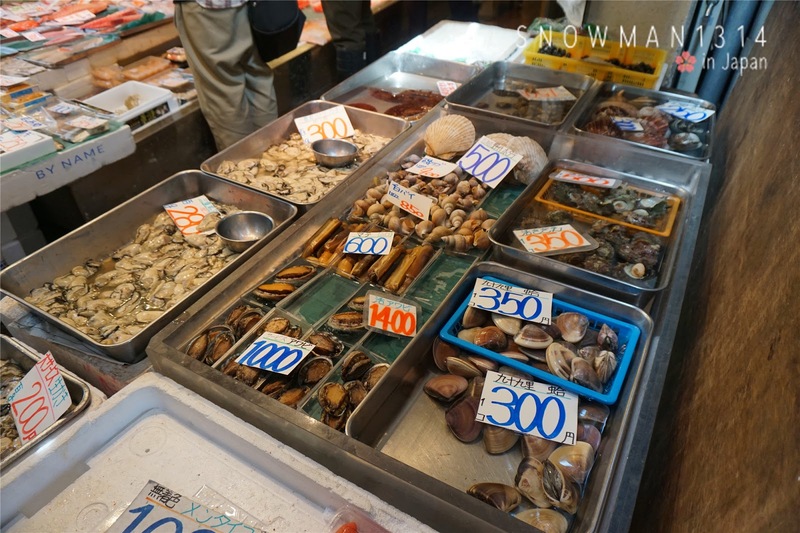 Big Portion of Fresh Seafood. 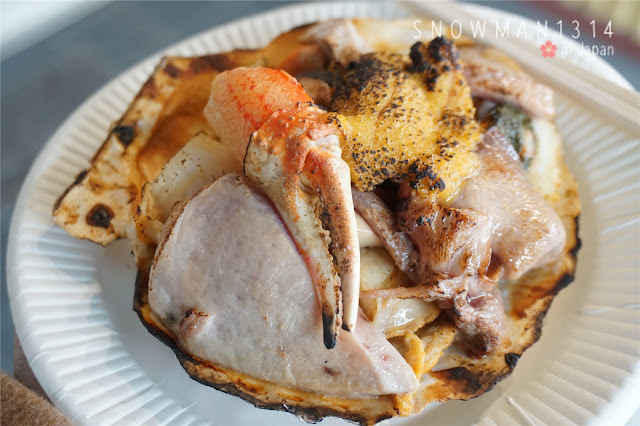 Comes in Crab Meat, Scallop, Tuna, Sea Urchin is the main character of this dish, and other more seafood. My first try on Sea Urchin. The taste is not to smelly, because all was perfect grill. I can't eat any seafood that are too strong taste of fishy which will cause me feel nausea. This is just perfect for me, you can see that the serving was quite big so just share and it will be more than enough. 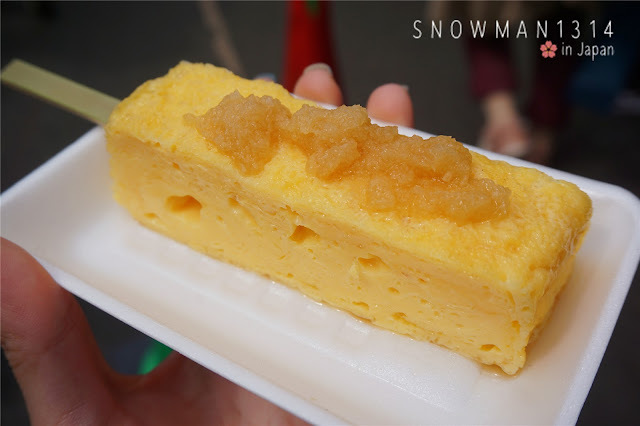 Next, Tamagoyaki is a must try too at Tokyo! 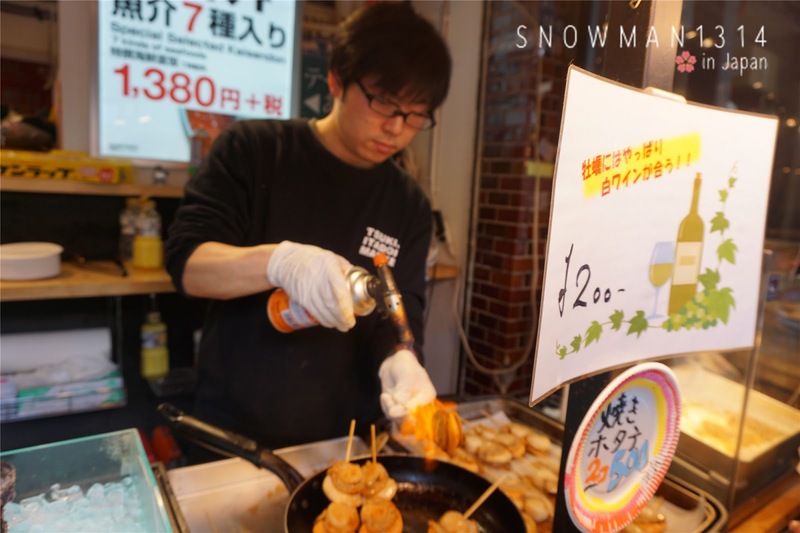 This is one of their famous snack, along the way you will see many stall selling Tamagoyaki too. 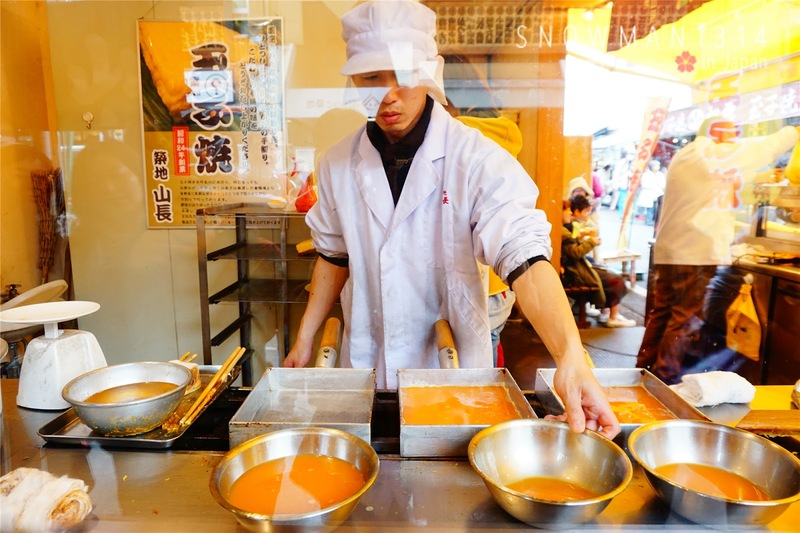 It was quite fun too see how Tamagoyaki was made and although its look easy buy is not! My Tamagoyaki and me. Served with minced radish. The taste was quite sweet, if you eat together with the radish the taste will balance out. 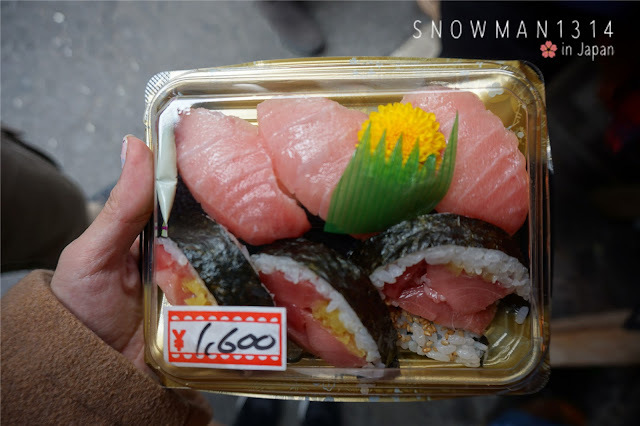 We manage to find a stall with super fresh Sashimi. I thought it was salmon but is not, not to forget that Tsukiji Fish Market is famous for their Tuna Auction! 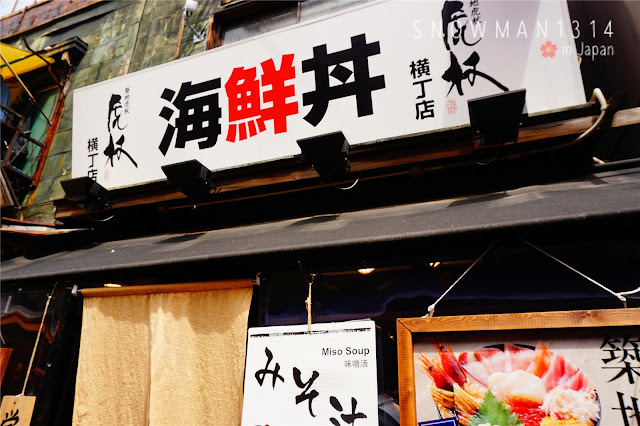 So beside Salmon you definitely need to try their FRESH TUNA SASHIMI. See how fresh and big the Tuna Sashimi are!! OMG I'm seriously missing this Tuna Sashimi right now. 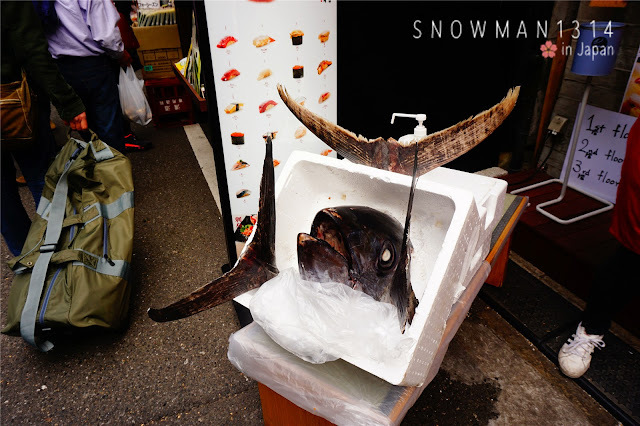 I never really enjoy such fresh and mouth drooling Tuna Sashimi before. Me and My Tuna Sashimi. 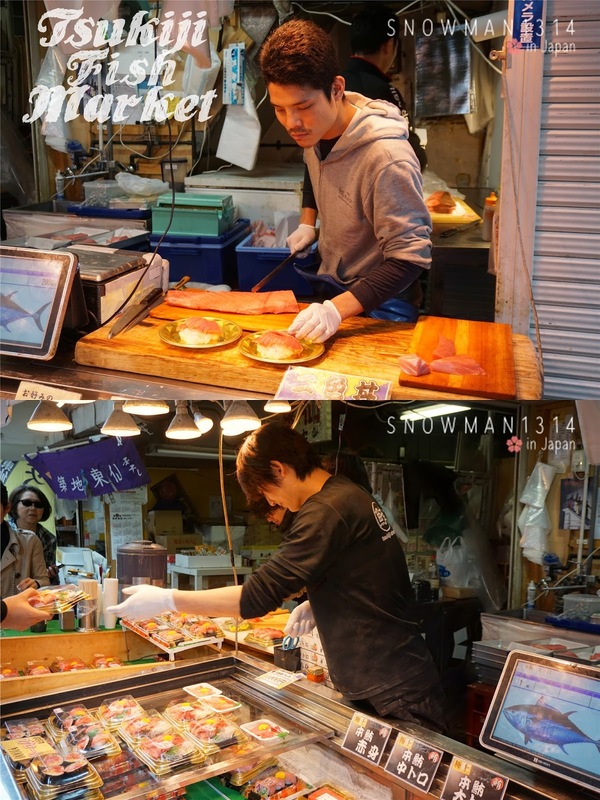 Oh Not forget that I manage to peek some handsome Japanese guy from the Tuna Stall. My bf helped me to take this photo for them. Don't forget to try out some dry snack too along the way. 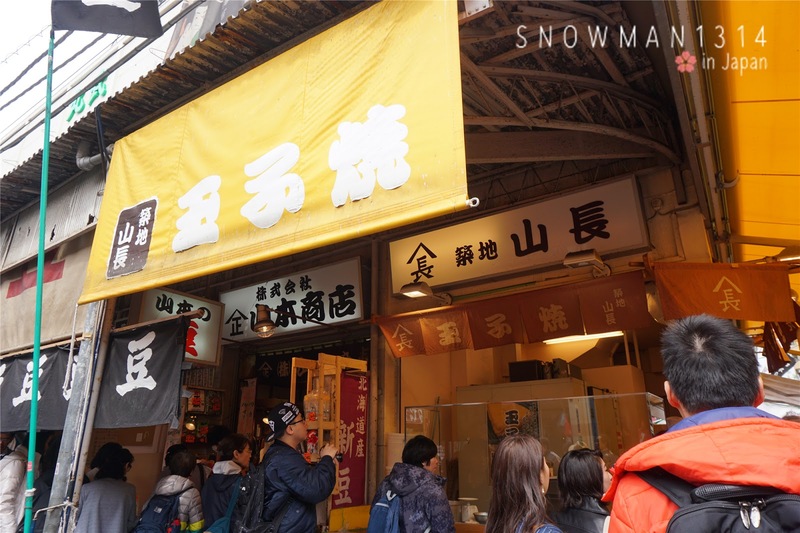 You will definitely able to be eating full here when you exploring Tsukiji Market. 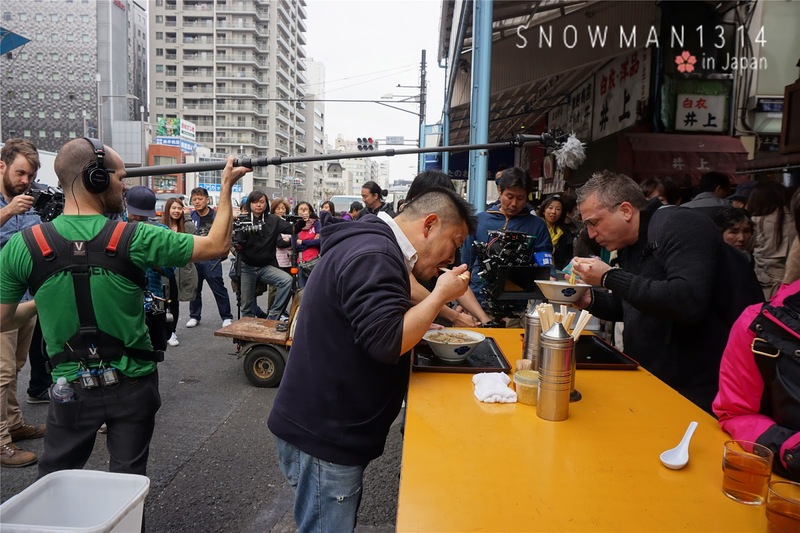 There's shooting going on when we visit the market. Manage to do a quick glance before leaving Tsukiji Fish Market. 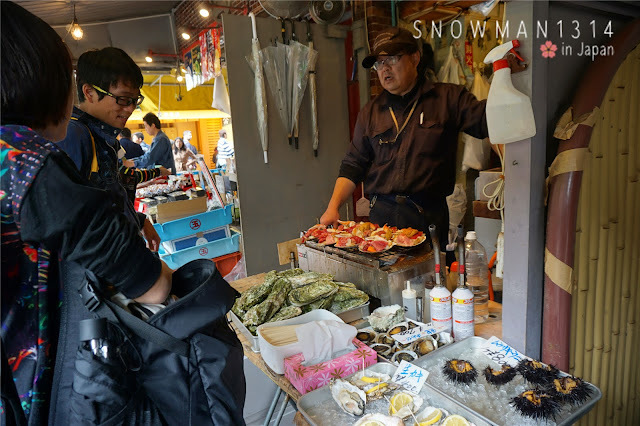 Wear appropriately as well, since it was a fish market please make sure no sandal or shorts that might get your feet dirty or smelly after a walk to Tsukiji Market. Best to wear cover shoes and Long Jeans. You don't want other people to step on your legs, because the crowds can be very pack too. 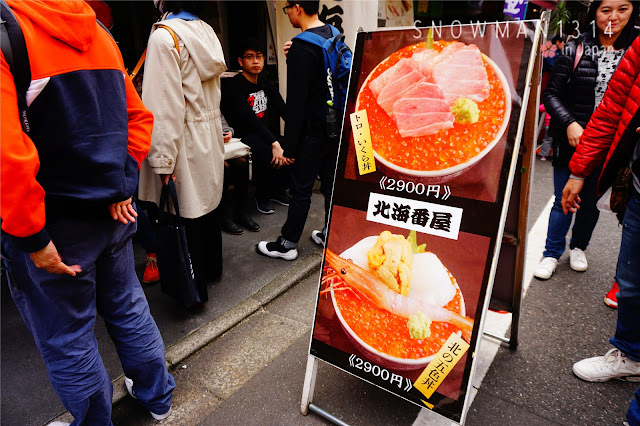 Must see the Tuna Auction at Tsukiji Fish Market! 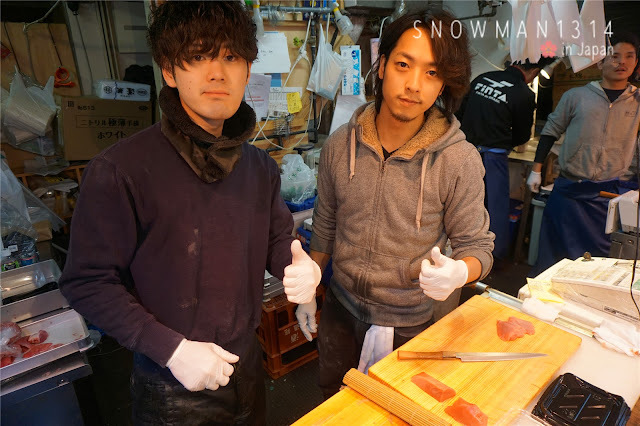 Must try the Fresh Tuna Sashimi and Seafood! Must wear Long Pants and Covered Shoes! 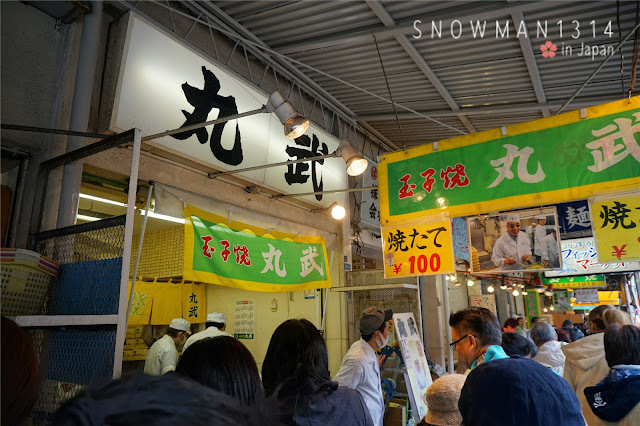 Must visit Tsukiji Fish Market before November 2016! Read more for more other Japan Post. I missed out Tsukiji Fish Market when I was in Tokyo...T.T Such a big regret! 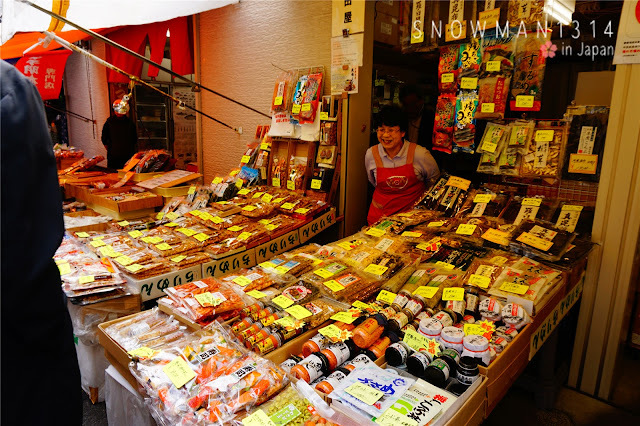 For sure gonna visit this market if I'm going back to Tokyo again! Awww that's so sad to hear! 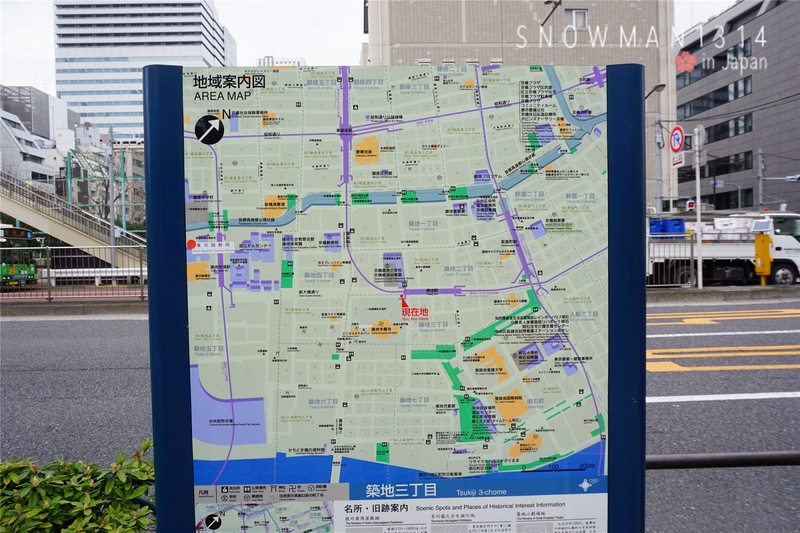 Next time they will be move Toyosu already! Normally me too will choose the longest queue to get the best food. Times might be wasted but I'm sure it is worth for a wait. I've heard much about this market from friends. Really appreciate the tips that you have shared! All the food looks so nice!! And the fish is enormous! Yum Yum.. Saliva drop out when saw the nice food. 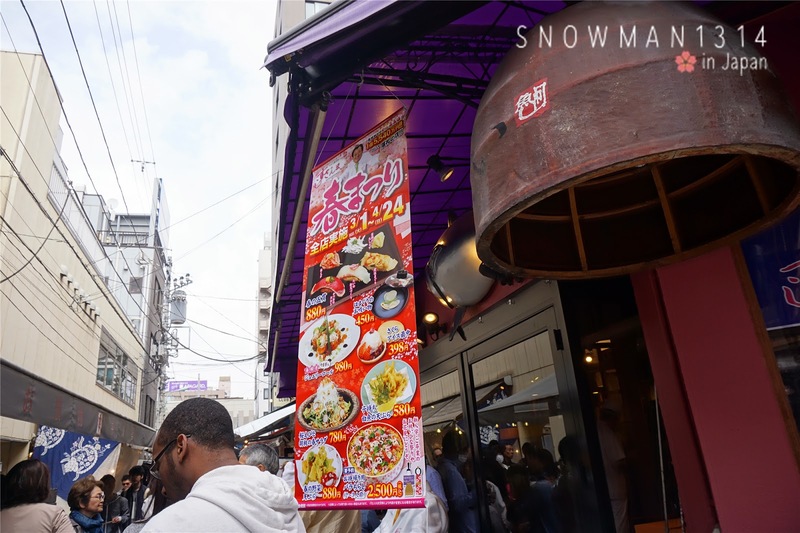 Will place put this in my list when I go Japan next year. wow!! !I love osyter!! bookmark your link for future use! !Thanks for sharing!! Yea! You should =D Takes lot of pic ya! 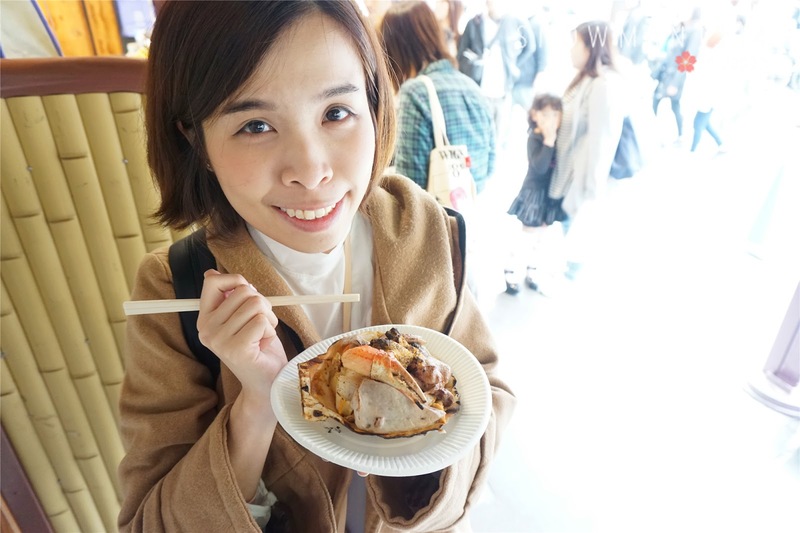 Nice to try all the seafood there. 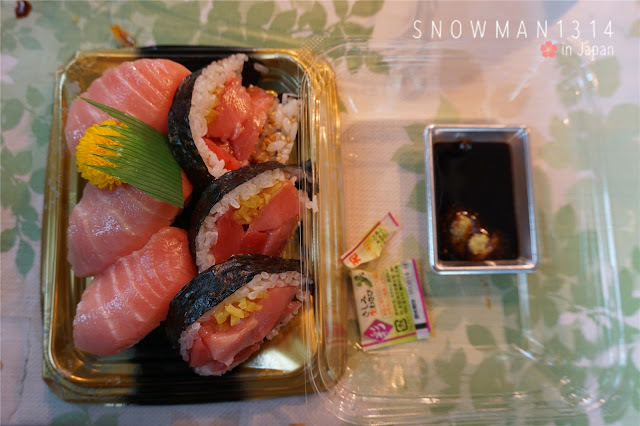 I don't dare to eat sashimi because heard eating raw fish is not good. I figure there's not many people visit Japan before! 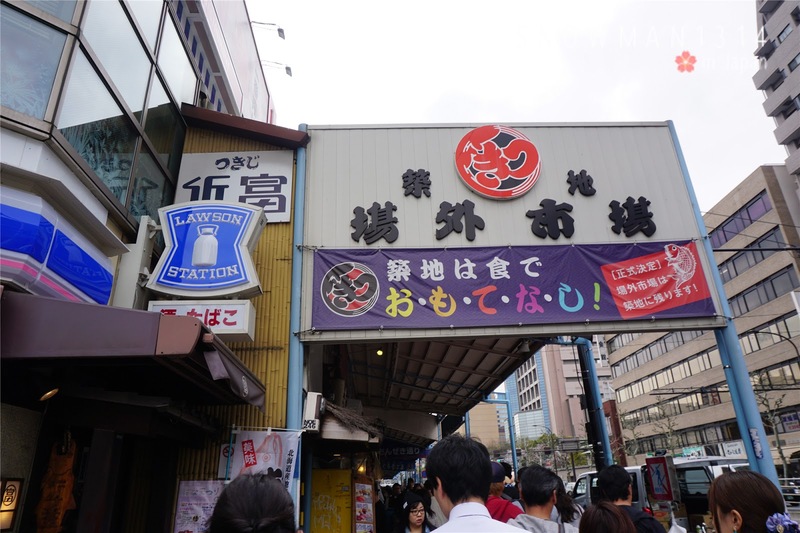 I miss Tsukiji Fish Market. So much fresh and great seafood there! Japan definitely a seafood heaven, will go when i save up certain amount of money.